Heavy copper rearing horse pendant is hand made in the USA. It measures about 1" wide and is stamped on the back with the artist's mark. 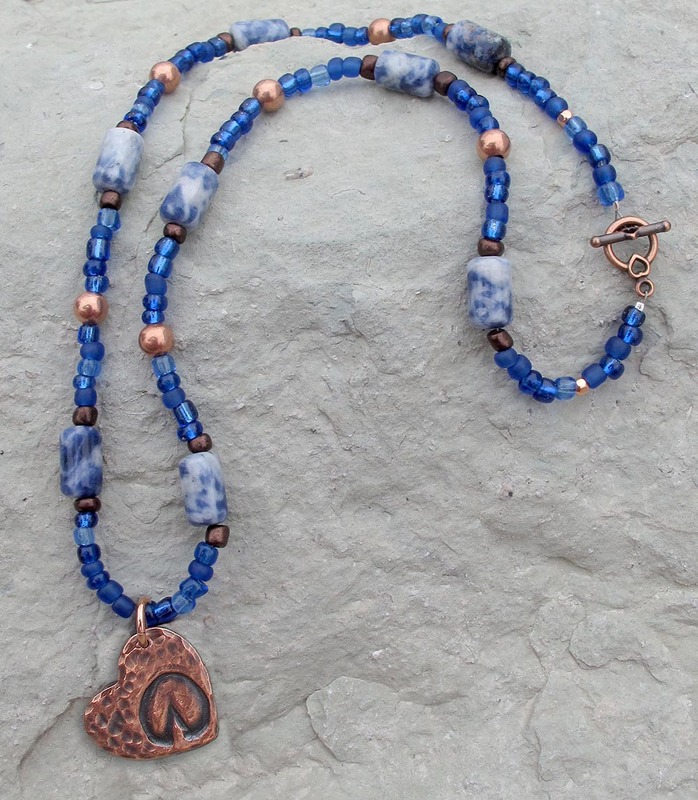 Hand strung right here at HoofPrints, using gemstone, copper and richly colored glass pony beads - 18" with copper toggle clasp.